1, Increasing the pH of the filtered water typically to between 8.5 and 9.5. 2, Changing the oxidation/reduction potential of the water (ORP) to between -100mV and -250mV. 3, Reducing the size of the clusters of water molecules so that the water is more easily absorbed in the body. 4, Putting into the water beneficial alkaline minerals such as potassium, magnesium and calcium. The jug allows for a capacity of 2 liters of alkaline antioxidant water, suitable to sit in most refrigerator doors. The water filter increases the quality of water to be used for tea, coffee, cooking and drinking water. You can even make your own bottled alkaline water and take it with you, to enjoy alkaline water in your daily tasks. 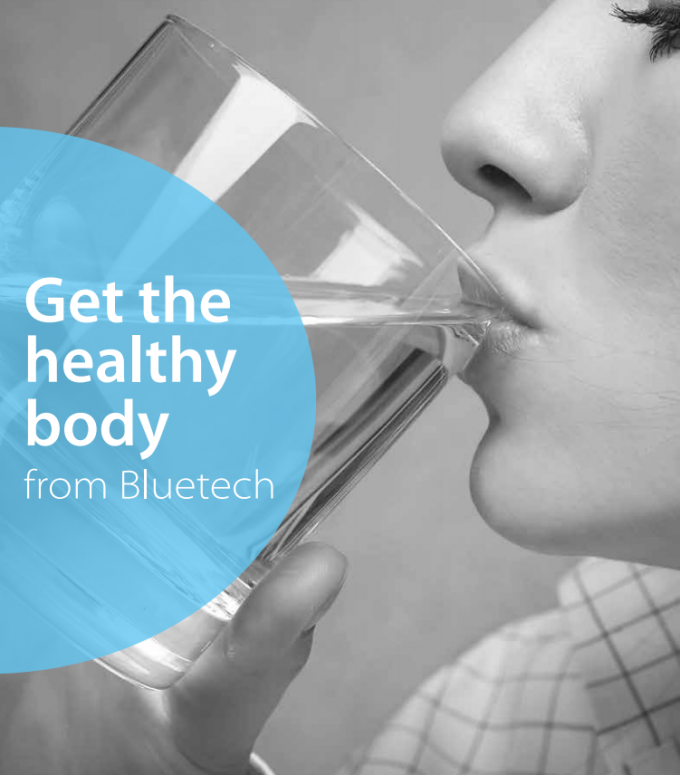 Alkaline water made by the Bluetech® tastes sweeter and more refreshing than alkalized bottled water that has been sitting on a store shelf and can cost up to $8 per gallon. Now you can make your own fresh alkaline water for less than 50 cents per gallon. Also, this Bluetech® is a great alternative to expensive Ionizer Machines that can cost upwards of $4,000. Improve your health, charge your immune system and fight the aging process with antioxidant-rich alkaline water with The Bluetech Alkaline Water Pitcher. Toxin build up in the body is the number one cause of aging. They are often a result of poor diet, high acid food diet, pollution, stress and exposure to every day chemicals. In fact thousands of different chemicals are in our foods, personal care products, household cleaning products, laundry detergents and fabric softeners, Toxins can build up in your body causing cell damage that leads to premature aging. The best way to fight toxins and detoxify your body is with hydration and antioxidants. And it’s as easy as drinking antioxidant-rich alkaline water. 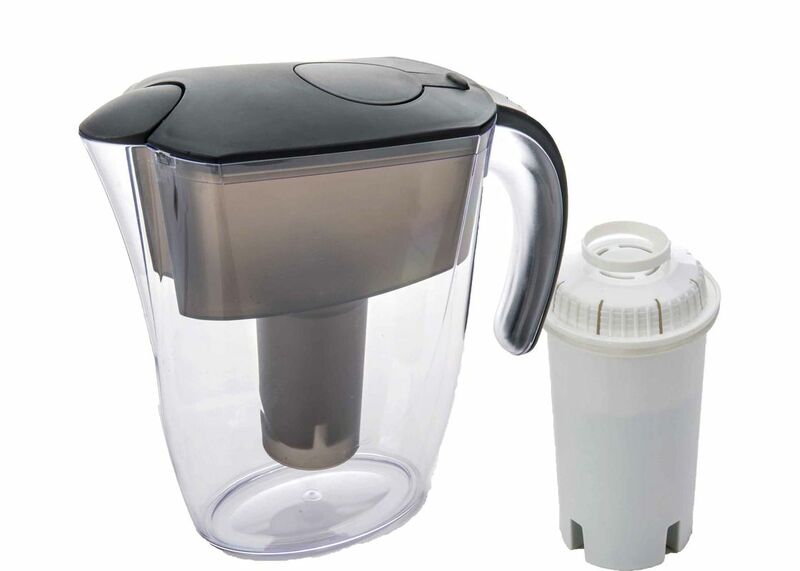 The EHM Filter Pitcher helps to make water more absorbable for your body. The Filter performs ionization of water into micro clusters that are more easily absorbed at the cellular levels. This helps “super hydrate” your body. The EHM Alkaline water acts as an antioxidant. The antioxidants are in liquid form which allows for quicker absorption into the system. The benefit of alkaline water has anti-aging and anti-diseases properties. Alkaline water helps neutralize harmful free radicals. Alkaline water has the ability to give up electrons; it can effectively neutralize and block free-radical damage to your body. Ionized alkaline water seeks out free radicals and converts them into oxygen that your body can use for energy production and tissue oxygenation. The EHM Alkaline Water Pitcher helps balance the body’s pH, which tends to be acidic because of our high acid food diet, stress and exposure to everyday environmental toxins. You can help raise your body pH from acidic to alkaline pH with a simple glass of water. Cancer and many other illnesses cannot live in alkaline environments. Alkaline is the “normal” state of healthy people. The EHM Alkaline Water Pitcher can help enhance your immune system to help your body’s ability to fight off disease and heal itself. While cleansing your organs alkaline water also rejuvenates the skin and keeps it hydrated. It aids the skin in replacing tissues and contributes to its elasticity and the overall health of your skin. It helps the skin to look smoother and softer, contributes to a younger more youthful look. 1. What is the capacity of this jug? 2. Do you have bacteria removing filters? 3. Can your filter removes lead? 5. Where is your main market? 6. Does your filter fits our region for water quality? We have many different filters for selection,some for Europe market,some for USA market,some for Asia market,some for Africa market... We can customize according different water quality.